Welcome to Beyond the Belt! Center Harbor Location Now Open! 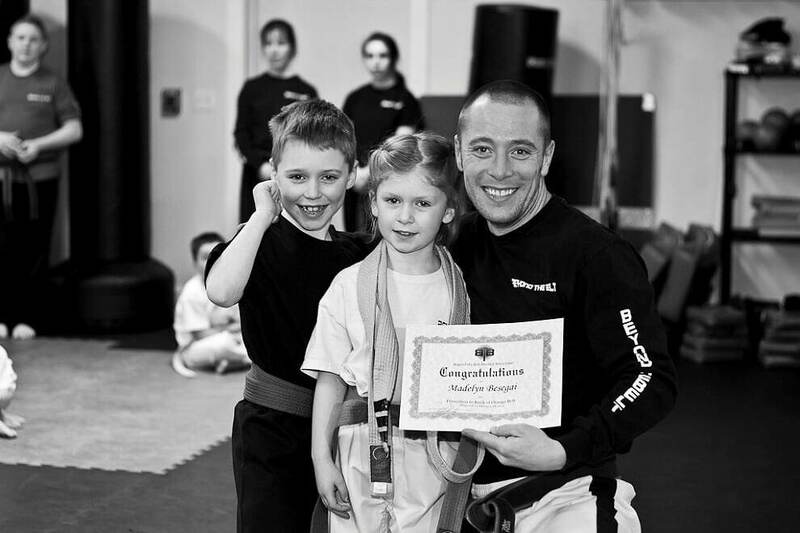 Located in the Lakes Region of New Hampshire, Beyond the Belt is a family focused school teaching the very latest martial arts techniques. Our Adult Mixed Martial Arts Program is one of the only belt-ranked MMA programs in the state. We feature Brazilian Jiu Jitsu, Muay Thai Kickboxing, and traditional Kempo Karate training. Our Martial Arts Leadership Program for children not only teaches valuable Martial Arts techniques and skills, but also life skills, self defense, and character development. Our calorie burning K-Box Fitness Program is one of the most effective and enjoyable ways to get in shape or take your cardio fitness to the next level! Whether you're looking for yourself or your children, whether you have a black belt or have never set foot in a karate studio before, come visit us at Beyond the Belt in either of our scenic NH locations, and see what we're all about! Check back to this page for posts about training, events, and happenings at the dojo! When Sensei Carl Young opened the doors of Beyond the Belt back in 2010, he was on a mission to change the vision of martial arts. Instead of focusing on competitive striking and self defense work, he wanted to create a community of families set on bettering themselves not simply through self defense, but through character building and virtues. In a world where martial arts can easily become something for oneself only, Sensei Carl seeks to teach students that through martial arts, each person has the opportunity to lead and empower each other. Truly, martial arts can go far beyond punches and kicks, organically providing a way for kids and adults alike to better themselves. At Beyond the Belt, it is Sensei Carl's and his team of instructors' mission to teach the very latest techniques, inspirations, and values of martial arts in and beyond the dojo. Don't wait- join the movement today! Programs at our facility are designed to build mind, body, and character through martial arts training. See below for the scheduling of our many programs! Located at 77 Court Street in Downtown Laconia, our state of the art facility features 2 full size dojos, a spacious, well lit lobby, and 3 different changing rooms. Stadium seating is available for Dojo A, while Dojo B features wrap around seating that allows parents and guests to watch classes comfortably. In addition, we also sport a large selection of Beyond the Belt merchandise and training gear in our Pro Shop! Don't wait! Come check out our facility TODAY! Take US-3 South to NH 106. Turn right onto Veterans Sq/NH-106. Continue to follow NH-106. Turn right onto S Main St/NH-106. Take the first right into Court Street. Take US-3 North. Court Street will be on the left. Limited parking is available in the lot adjacent to the building, and additional parking is available in the lot down behind Walgreens. Take NH Route 109 to NH Route 25. Take right onto NH Route 25B. Senter's Market will be on your right. Take I-93N to Exit 23. Merge onto NH-104 E towards Meredith. Turn left onto Daniel Webster Hwy/US-3 N. Turn right onto NH Route 25. Senter's Market will be located on your left. Parking is available in front of as well as behind the building.